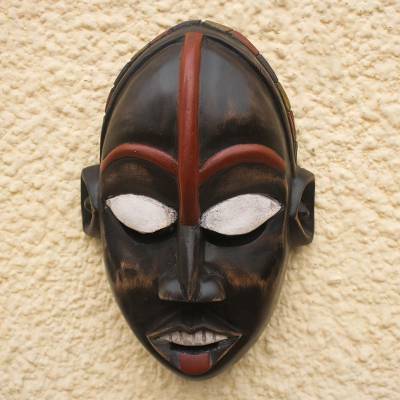 African wood mask, "African Ghost"
Singing, he returns to the world as a ghost to watch over his loved ones. Abdul Razak creates this poignant image as an African mask. Carved and painted by hand, the sese wood sculpture receives an aged, distressed finish and applications of white clay.